No, that’s still not my typo, dammit. I’m guessing that you don’t devote any of that valuable time to proofreading. 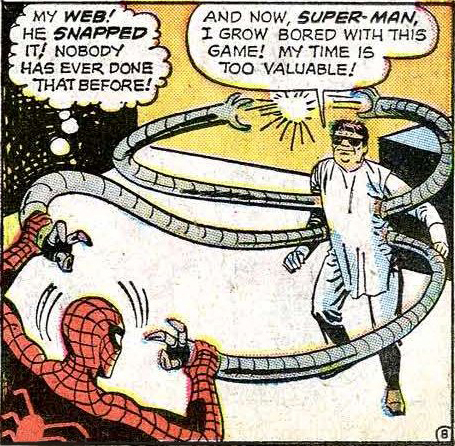 Today’s skirting of copyright infringement has been brought to you by The Amazing Spider-Man #3 (July 1963) by Stan Lee and Steve Ditko.